Manage and Filter a List to focus on unique List attributes. Using Manage and Filter in List View makes it easy to organize, sort and refine a List. Manage and Filter will help you be efficient with status-driven workflows and create targeted lists. From the Main Menu go to My Lists. Click on the List Card to view your list. Connect with the properties and owners on your List. 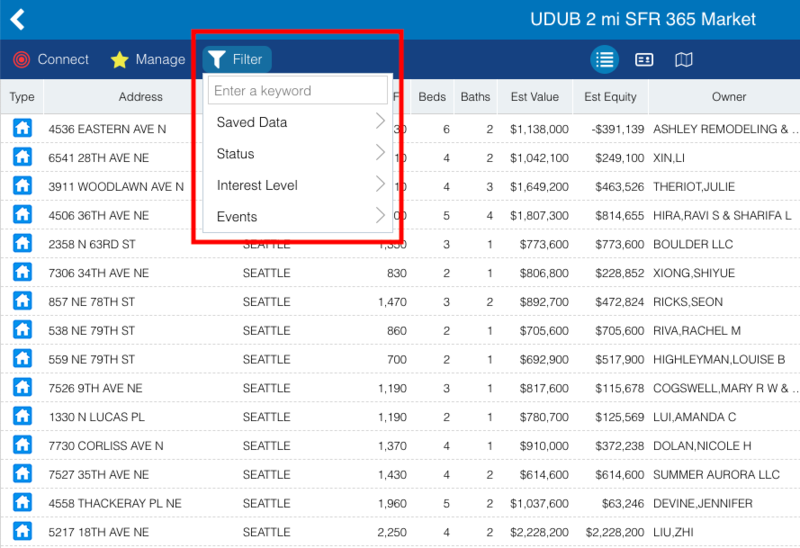 Filter your List using saved data, status, interest levels and events. Toggle between Grid View, Card View, or Map View. And Share your List. Send a PDF by email or download a PDF to print. Manage lets you organize your List and add additional information to multiple records. Add to List - Add your filtered results to an existing list. Set Interest Level - Set an interest level rating for all filtered results. Add Note - Add a note to all filtered results so you can remember details about those properties and owners later. Set Status - Set a status so you remember to come back. Remove from List - and remove these filtered results from this list. Managing your list lets you refine your Filters and target the properties and owners you are interested in Connecting with. Filters let you find and focus on the unique attributes of your List. Saved Data – See only the properties that have photos, notes, documents, or an analysis. Status – Filter properties that have a specific Status. Using Status is a powerful way to organize your workflow. 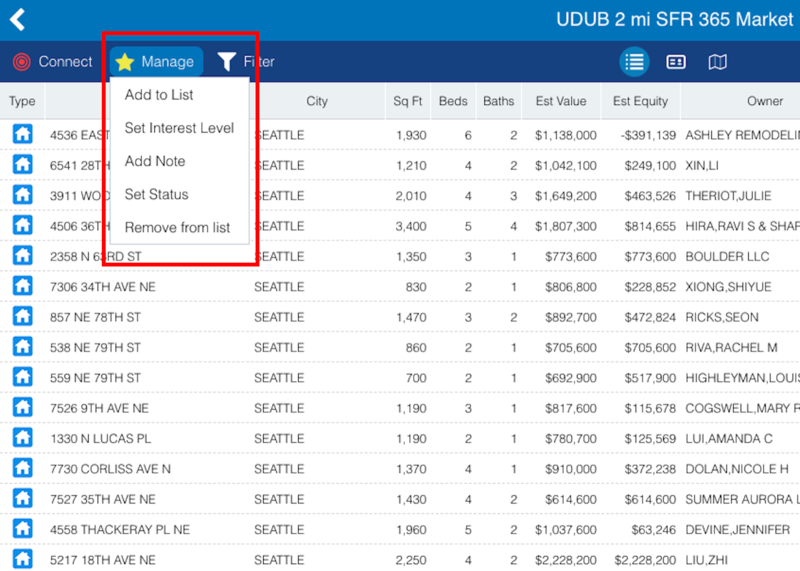 Interest levels – Quickly see which properties have YOUR set Interest Levels. 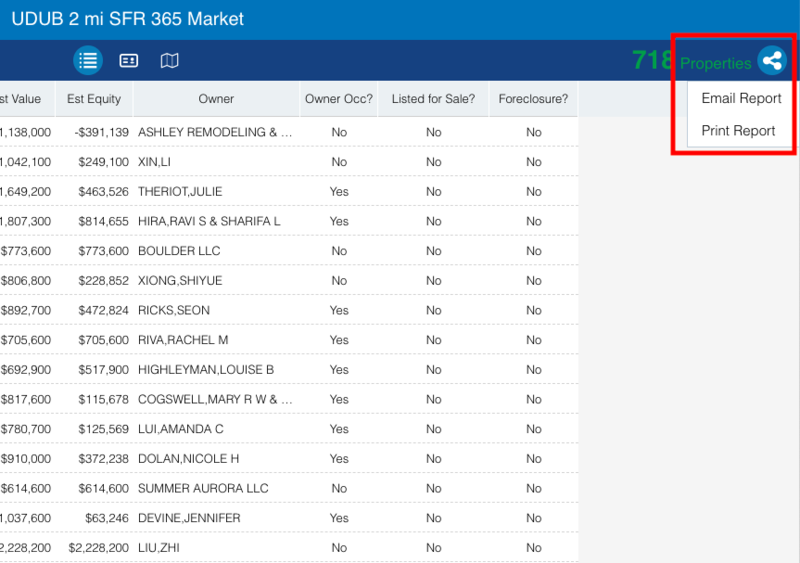 Events – Filter for records that are recently sold, for sale or could be in foreclosure. Quickly Find a Filter by typing a keyword from a Filter’s name in the search bar. To remove a Filter, click the highlighted filter again. With PropertyRadar, you can make as many Lists as you want or need. We’ll keep them up-to-date for you. With Manage and Filter, you can focus on the specific properties and owners within a list to drive the most important thing: Getting Connected.